Lydia Kwa [photo credit: Pink Monkey Studios] has published three novels and two books of poetry. Her latest novel, Oracle Bone, appeared recently with Arsenal Pulp Press (Fall, 2017). 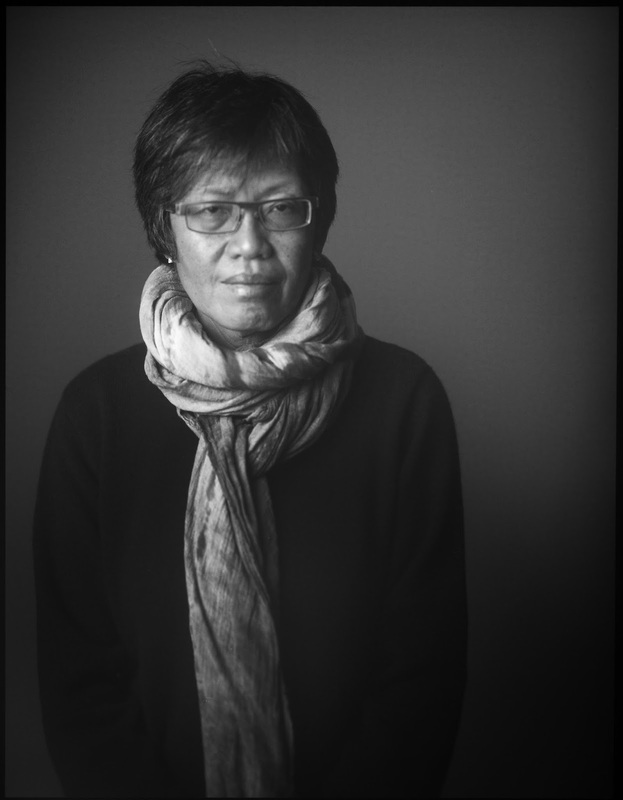 Her writing spans various times and spaces in the Asia-Pacific region and imagination. She lives and works in Vancouver as a writer and psychologist. My first book was poetry: The Colours of Heroines (1994) with Toronto's Women's Press. It was amazing to experience the reality of having one's work communicate with readers. The lovely thing too was that George Woodcock reviewed it favourably and called me a "memory writer of almost Proustian intensity." I was so pleased. Every book is different. I leave it to readers and critics to tell me how my most recent work compares to previous ones. Who knows? I suspect an adolescence of being immersed in reading Psalms, Ecclesiastes and Song of Solomon alongside William Wordsworth and Gerard Manley Hopkins had something to do with it. Very slow, very mysterious, very intuitive. Copious notes that circle around narratives that only seem to clarify after about 3 years of wandering in the darkness. A poem begins in the gut. A strong sensation that rises up to the throat, and insists on being expressed. These days—in terms of fiction, I am consciously working on a book/novel from the beginning. But my first novel This Place Called Absence began as a series of short monologues. I fooled myself I was writing a short lyrical narrative, etc etc until it dawned on me it was going to be a novel. I love doing readings. Especially around the time a new book is launched. The power of the imagination to help creatures transcend suffering. The plight of outsiders. Those hated for their differences: race, queerness, class, gender, disability, etc. The destructive power of sexual violence. The writer is a lowly creature. Hopefully we are useful because we are so lowly and do not fulfill any greedy capitalist agenda. Hopefully we are the ones crying and wailing along the periphery and pointing to some interesting, more liberating alternatives, or at least wailing about the imminent demise of the human race. I have been tremendously grateful for all my editors. I've been fortunate. Of course it's a difficult process—editing with another's assistance. Difficult and absolutely valuable and hence necessary. Don't take yourself (meaning, your ego) so seriously. Nothing typical in my days. No fixed writing routine. But when I can, maybe 4 mornings out of 7, I write for an hour. And sometimes I do a stretch of 3 hours in the evenings. It gets more intense after year 2 of writing. I take walks, cook, read, listen to music. Look at art. Which home?! My own skin, really. As in answer to Question 12. Lots of writers' work are important to my work. So so many and too many to mention. A lot of Japanese writers read in translation; Chinese writers in translation etc. Go to Taiwan or Japan, to some temple retreat and practise taiji. Go to South Korea and eat food prepared by the famous nun Jeong Kwan. Would have been a chef. Well, I am also a psychologist. Writing seems inevitable. I write to stay sane. To express what I cannot express in other ways. Ken Liu's The Paper Menagerie. The third book in the chuanji trilogy.